As part of the preparation for the meeting we are putting up some profiles of some of the people on the various committees. The first pen portrait is of the club chairman Ivan Kelleher. 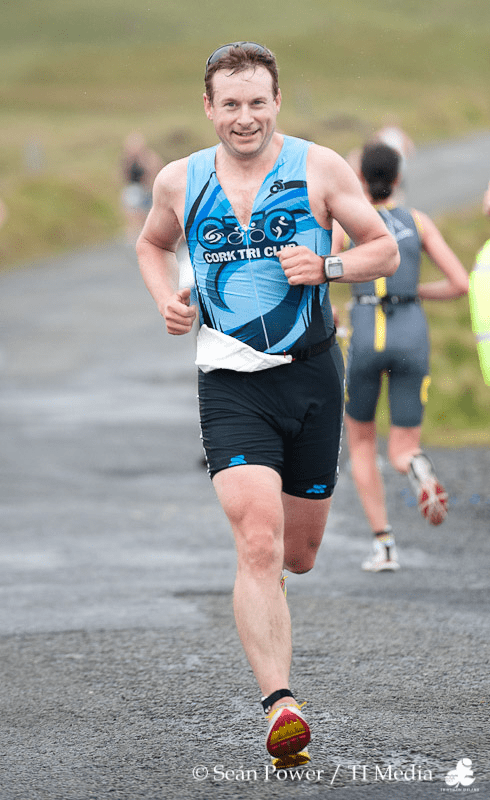 My very first ever triathlon was a TriAthlone sprint in 2008. Long story but I had 5 weeks to prepare. I had a background in swimming but hadn’t swam properly in at least 10 years. I completed the swim after taking numerous timeouts doing backstroke. I thoroughly enjoyed the banter whilst cycling on a borrowed racer. The 5K run was a disaster. I had quite a crowd of family cheering me on at various points around the course but as soon as I was outside of view, I had to walk, the uphills killed me BUT I finished and I was elated. I caught the bug and the next year, I completed 3 sprints, 3 olympics and The Lost Sheep. Many more great memories but always of the tough moments – cycling up the hill from Lough Hyne and cycling the Lost Sheep cycle route for the first time. For 2010, I started focusing on the longer stuff and planned to throw in a few adventure races and the Lost Sheep again (what a race). It was my first year being involved with CTC and I was understudy to Eidin as administrator of the Lost Sheep which crucially allowed me to race the event. I got to know many of the personalities in the club and it was a very entertaining year. Now that I had completed a few 5/6 hour races, the seed had been set for an Ironman distance race. My mother is from Denmark and Copenhagen was host to its second Challenge race on a relatively flat course. I also put my hand up to be race director for the Lost Sheep so I had a tough year ahead. Through CTC, I found a friend and training partner who was doing the same race – we had a good training season and complemented each other well – when I was down or sick he was there to encourage me and vice versa (I hope). I finished happy and smiling. The Lost Sheep also went well and, thanks to the help of all involved, the race won the Triathlon Ireland race of the year. I was there to accept the trophy at the awards dinner in Dublin and was amongst the elite of Irish triathletes – Joyce Wolfe and Martin Muldoon are amongst two that come to mind. What a year. For 2012, I got even more involved with CTC and was elected as chairman of the club. This role meant that club efforts were a bit more spread out so it was easier to fit in an IM. I again had my trusty training partner and IM Austria proved to be very very hot. That is the end of the story for now but it is safe to say that triathlon has made me many friends, given me many fantastic experiences and made me a much fitter person. It also means that I get to juggle family/work/training/life every day. It can be a difficult tussle ….. but I love it. Roll on 2013.